(KPAX) The Environmental Protection Agency says it will take more sampling and study before cleanup plans for the old Smurfit Stone mill site are finalized. The Clark Fork Coalition maintains one part of the property needs immediate attention: its dump. This week, the team from EPA and the Montana Department of Environmental Quality told Missoula County leaders they’re set for another season of sampling on the site, with the goal of finding “data gaps” as they narrow in on possible sources of contamination. But county commissioners and the Clark Fork Coalition are concerned about waiting to deal with the mill’s old “landfill” near the industrial core of the Smurfit site. 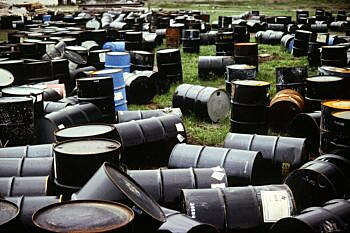 The worries are driven by pictures taken by former mill employees that surfaced a couple of years ago, showing barrels of waste generated during decades of operations. EPA and DEQ say they’re still trying to figure out the complicated hydrology on the site, and need a complete picture, working cooperatively now with the potentially responsible parties, or PRPs, that had owned the mill. EPA is treating parts of the Smurfit lands individually. Known as operational units, the portion of farm land has already been found generally free of contaminants. DeArment says the Coalition would like to see the waste dump, and that uncertain barrel location, treated as its own zone. EPA told county leaders Wednesday that if any evidence develops of an immediate contamination problem at the waste dump while testing continues, the agency has the authority to order an emergency cleanup.